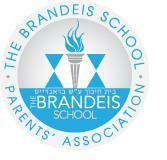 The Brandeis Parents’ Association (PA) is an integral part of our school. Our mission is to enrich the school experience. Working in conjunction with the school, the PA oversees many functions which our students and our many parent and grandparent volunteers enjoy. Some of the notable activities are the school-wide Welcome Back Event, Erev Shabbat Lunch, Purim Carnival, Passover Model Seder, Yom Ha’atzmaut Lunch, and Lag Ba’Omer Barbeque. We strive to bring a broad spectrum of cultural events and programs to our children. In addition, the Brandeis PA organizes the Buddy System where existing and new families are partnered and Welcome Baskets to greet our new families, arranges for Staff Recognition Day, and provides Chanukah and end-of-year gifts for our Brandeis teachers and staff. The PA is funded solely through fundraising activities and the collection of annual PA dues. We invest funds received to enhance our children’s experience at The Brandeis School. Only through hard work, dedication and support of our parents and grandparents can the PA be effective – family involvement and assistance are vital to the success of our programs.